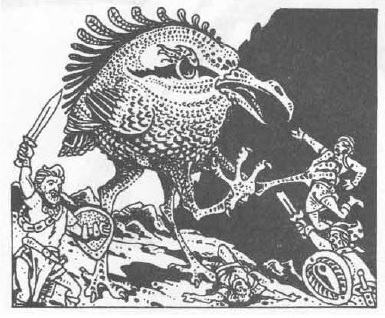 The Achaierai is one of those odd monsters from the Fiend Folio that I have always found rather fascinating and whimsical (primarily because of the art by Russ Nicholson). They are fierce predatory birds from the infernal regions that are 15' tall, and that can breathe out a cloud of toxic black smoke as a defense mechanism. 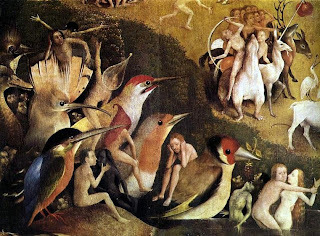 There have been many people who have dismissed the Achaierai as a silly monster, but I like them because they look like something that you might see in a painting by Hieronymus Bosch. Still, despite their relative lack of popularity, it was one of the earlier monsters featured as a miniature for the DDM CMG (Aberrations #26). The miniature scales out to about 12' in 1/72, which is shorter than the size given in the Fiend Folio, but even so it does not look undersized. 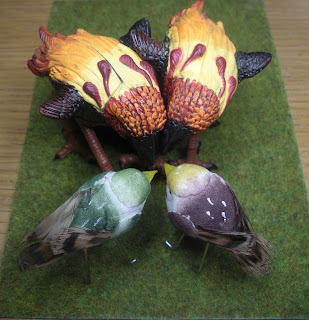 One of the things that I wanted to do was to create a flock of Achaierai, and my solution was to use artificial craft store birds and add legs made from paper clips. 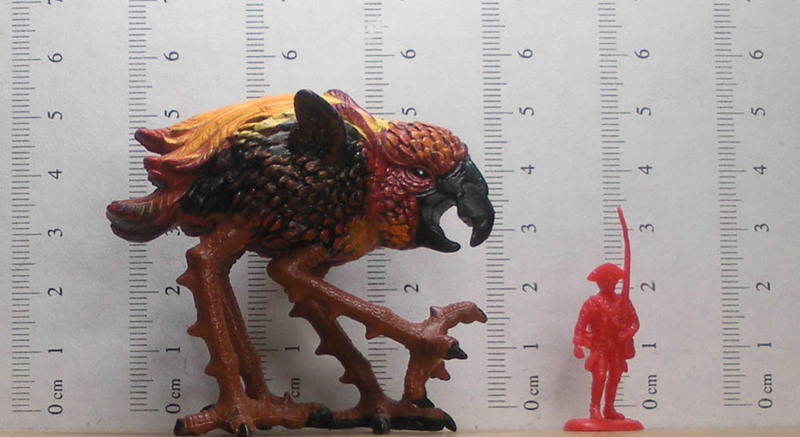 Unfortunately it is not easy to find artificial birds that match the size of the DDM Achaierai. Also, many of the artificial birds are made with their heads turned to one side, which is not good for me, since I want my Achaierai to be facing forwards. Recently though, I came into possession of a couple of smaller birds that could be used as Achaierai chicks, so I cut up some paper clips, bent them a bit, stuck them into the artificial birds, and glued them in place. I'll use Kneadatite to create some feet for them later, but even as they are, I think they look pretty good. 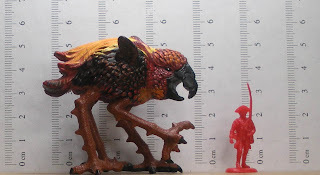 A giant kiwi bird would be a great monster even without modifications. 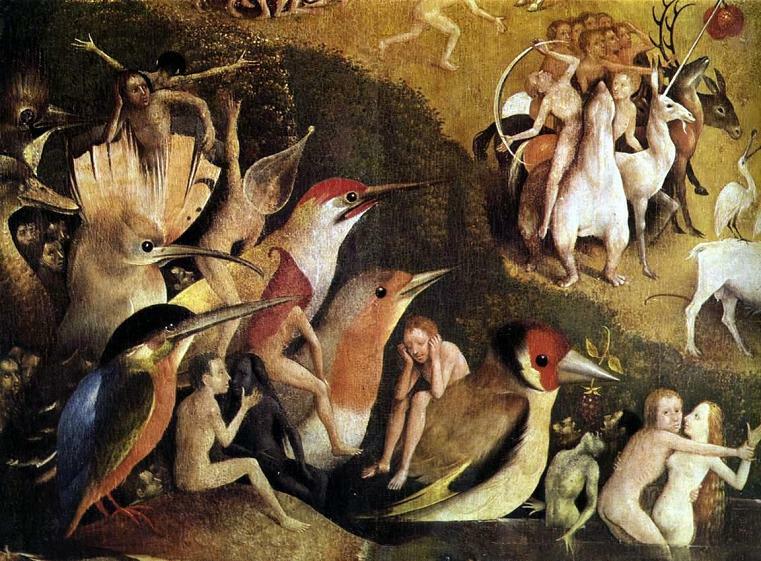 The bird looks odd enough with just two legs without having to add more. Not sure I've ever seen artificial kiwi birds though.